Your inbox blew up last week with privacy updates and you might have wondered why. 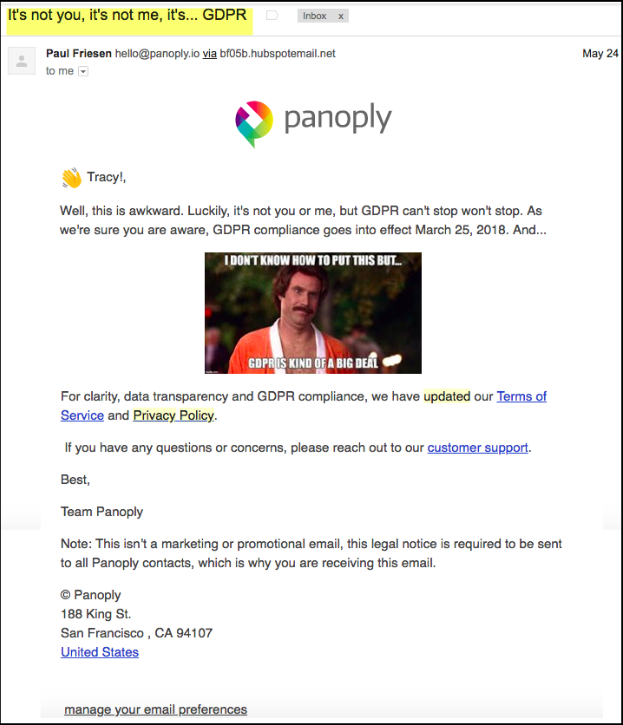 In an effort to be GDPR compliant, email senders across the globe sent out millions of privacy updates last week before the GDPR deadline of May 25th. During the week of May 20-26th, SparkPost delivered over five billion emails. Of those, over 100 million mentioned the word “privacy” in the subject line. For these privacy-related messages, the average open rate for the week was 11.48% and slightly higher on the weekend of the GDPR deadline at 15.01%. Overall, this was lower than standard open rates. What I liked about it is that the subject line was catchy and the email perfectly summarized what changed in concise bullet points. They also gave you an email to contact them with questions and of course, they delivered on the puppy part with a cute animated .gif of various puppies. 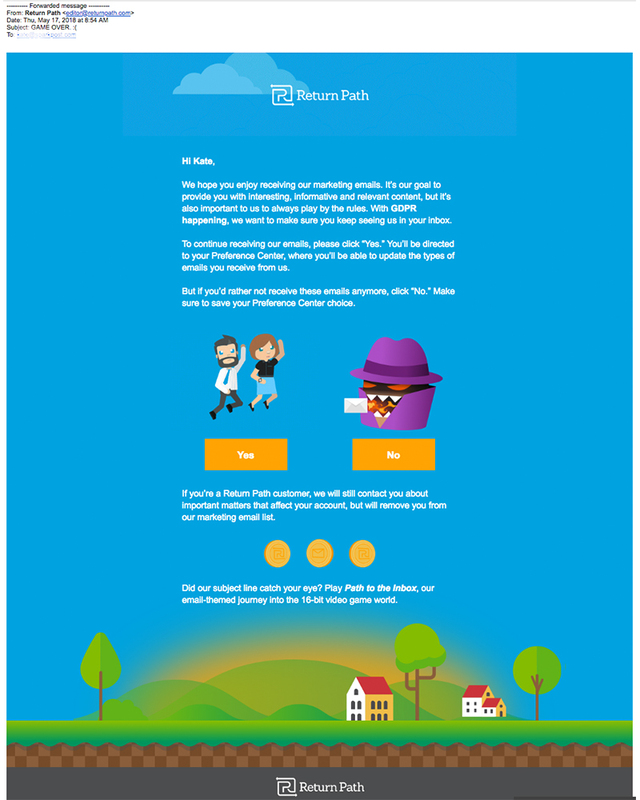 And another favorite was Return Path’s email. The subject line of “Game over :(“ piqued curiosity, but what was really amazing about it was that the email was interactive and tied to a campaign of getting messages into the inbox. All in all, GDPR actually posed a great opportunity for companies to re-engage contacts in their database who otherwise might not have been engaged or no longer interested. Many people who opened them were grateful that companies had reached out to them.